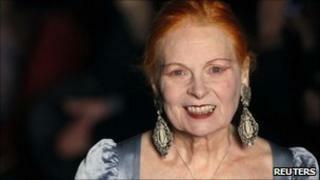 The use of Harris Tweed by celebrities such as singer David Bowie and fashion designer Vivienne Westwood will feature in a one-off show about the cloth. Friday's special event at the Victoria and Albert Museum, in London, is also to include a talk by the 2010 Menswear Designer of the Year, Patrick Grant. Others taking part will be National Museums of Scotland curator Fiona Anderson and historian Jonathan Faiers. The show is part of celebrations marking 100 years of tweed production. Harris Tweed featured on the back cover of singer and actor Bowie's album Hunky Dory. A jacket made from the cloth woven on the Western Isles has also been worn by the latest Doctor Who, played by Matt Smith. Harris Tweed Authority chief executive Lorna Macaulay, who will also speak at the event, said: "It's an honour for the Harris Tweed Authority to be associated with an establishment like the Victoria and Albert Museum. "The V&A hosts a prestigious programme of events throughout the year and we are very privileged indeed to have made it onto that programme this year as part of our centenary celebrations."